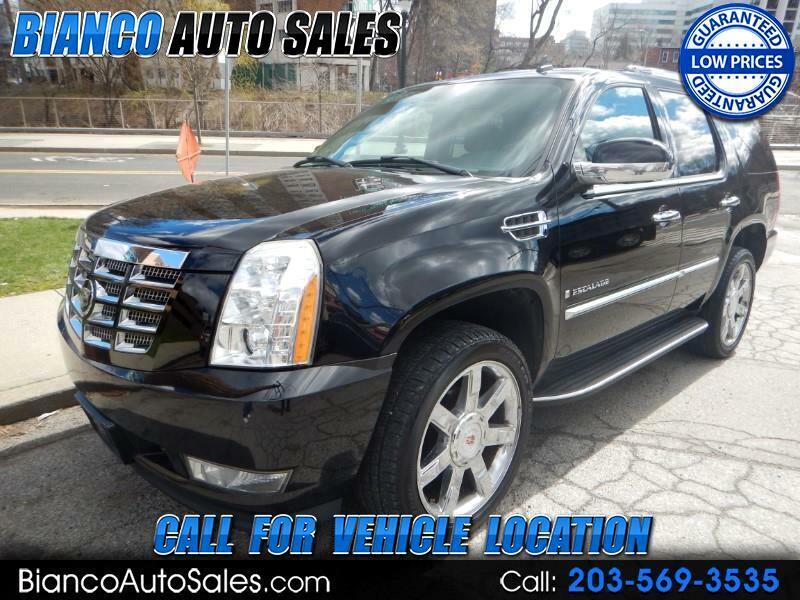 Wow look at this 07 Cadillac Escalade with 106K navigation DVD leather Chrome wheels backup camera 6.2 V8 engine along with this Great CASH price listed here. Give ED a call and he will go over the great finance programs we have for Good None or Challenged credit people plus he will book your appointment to come see and drive the vehicle. This truck also qualifies for the 2 year warranty so ask Ed to go over the details for this great coverage. You can reach us at 203-569-3535 and we will get you right in to see and drive this great truck. Speak to you real soon!!! !